Innovation District 92, the entrepreneurship facility backed by Superior Group, has inducted its first incubation cohort comprising of seven diverse startups. The facility received a whopping number of over 600 applications out of which 100 applicants were shortlisted for a startup induction event that resembled a formula car race activity called Pitch Stop. On the first day of Pitch Stop, the startups presented elevator pitches to a panel of judges comprising of industry leaders from the local entrepreneurial ecosystem. In this round, 100 shortlisted applicants were reduced to 25 that qualified for the IDEATE workshops. These IDEATE workshops revolved around developing business models, branding, campaign design and prototyping. At the end of each workshop, startups were scored for the activities conducted and eventually 15 teams made advanced to Ultimate Pitch Deck – the final Pitch Stop. Miiti Ghar is introducing eco-friendly and toxin-free clay flame ware and tableware to domestic households, commercial sector in Pakistan and to the international market. Their products address lead, arsenic and other heavy metal poisoning caused by the use of metallic, plastic, or untested clay pots. Their consumers can re-establish their link with nature to gain a maximum amount of nutrients that human bodies require to stay healthy. Thermonergy provides a unique product for charging phones without any external power, power bank or your phone charger. Their product uses body heat and anything that generates thermal heat to charge a phone anytime, anywhere! With options of breeding, selling, buying, adopting, pet care clinics and pets blog, Pets Factory is a website to find fins, feathers, paws, and claws. Additional features include pets encyclopedia; to help people know about different pets and their breeds. They also have a naming directory to help name pets and blogs for training and taking care of them. B-tech is building a motorcycle rear tire safety guard that provides safety to anyone sitting at the back by covering the rear tire wires and rotating axial of the tire. Maidaan is a sports-tech startup through which sports enthusiasts can book grounds in the city, find opponent teams and extra players, record scores and get match coverage. The platform does not only cover cricket but various local sports too. Careeb is an online hypermart where customers can shop for a range of products, from groceries to bakery items. It is a one-stop shop for all home essentials needs, providing convenience to customers with their quick delivery. Foster Learning Pak is a flagship training program that has 5 basic modules starting from growth mindset, Key employability skills, professional development, leadership, and entrepreneurship. It is a 2-month intensive training program for university students in a book-less environment, where they learn and understand critical thinking, problem-solving, leadership and teamwork. 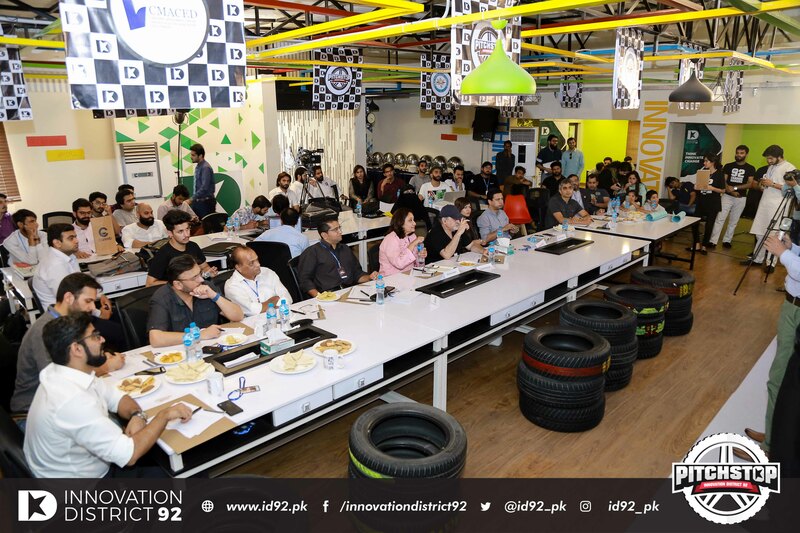 These diverse startups are driven to bring about a social and economic impact in Pakistan and will set a benchmark for the coming cohorts of Innovation District 92. So what the fuss is about Pocophone?! Insider Diary is a news blog website here you can read any type of news like Tech news, Sports news, Entertainment news, latest trends news and many more. It is a stop point for you to read what to want. So spend your time with good and informative news blog platform and read informative and latest news.